This site has been hastily put up for the “We need to talk about Climate Change” workshop at Manchester Museum, April 7th, 2017. It will be developed over the coming weeks. To support the workshop please feel free to user the Twitter hashtag #heritage4climate. ‘We value our heritage most when it seems at risk; threats of loss spur owners to stewardship’. Climate change is the greatest challenge of our times, according to the Intergovernmental Panel on Climate Change, and combating its impacts is one of the key UN Sustainable Development Goals. One symptom of our rapidly warming world is accelerated sea level rise. Former president of Kiribati, Anote Tong, describes the relationship between sustainable development and climate change as ‘inseparable’. For Small Island Developing States, addressing development challenges while planning for climate change is a constant struggle. This project team will work with Kirican, in Kiribati, to co-design a community-level programme towards sustainable development. If heritage in its most fundamental sense is about what we value collectively, and want to preserve for the future, then it is entirely logical that academics and practitioners in the heritage field should care about the environment and sustainable development. According to a recent UNESCO report, climate change poses the greatest risk to world heritage, yet heritage concerns are not as prominent as they should be in this field. 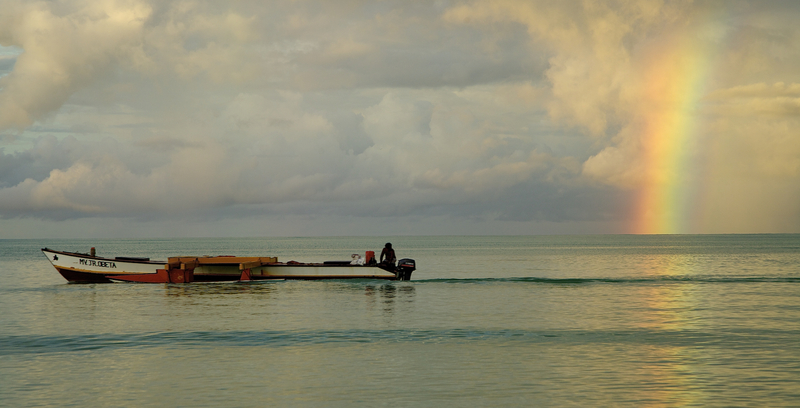 One of Kiribati’s adaptation strategies is to plan for ‘migration with dignity’ for its population of over 110,000. We will consult with heritage organisations in Kiribati to find out how and whether they are planning for climate change and even potential displacement. The research team will also collaborate with the artist and cultural expert Natan Itonga to make a film evoking the rich cultures of Kiribati. Overall, this project explores both the scope and limitations of attempts to ‘preserve’ heritage in face of rapid environmental change or when the natural environment itself is heritage at risk. What can be ‘saved’ at all when the impacts of climate change are so catastrophic for nations like Kiribati, and is it still meaningful to talk about sustainable development? Sara Penrhyn Jones, Bath Spa University. Dr Anna Woodham, Kings College London.